One of the most important streets of Barranquilla for about 200 years and even today Paseo de Bolivar is the artery of the city. The street is the commercial and administrative hub of the city where a lot of offices are present along with many shopping & food outlets. There’s a statue of Simon Bolivar at the northern end. The street is otherwise also a beautiful place for a stroll down till the end with colourful lights after dusk. 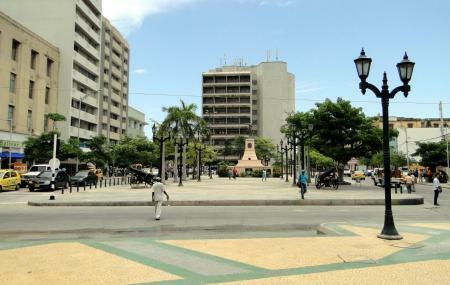 How popular is Paseo De Bolivar? People normally club together Malecon Leon Caridi and Iglesia De San Nicolas De Tolentino while planning their visit to Paseo De Bolivar.